Blackmagic has update the Video Assist to version 1.1 to include focus peaking, zebra exposure too, 2x zoom and HDMI timecode. The Video Assist is a $495 HDMI & 6G-SDI recorder and 5″ monitor. It uses SDHC/SDXC memory cards to capture ProRes 10-bit 4:2:2 video and is powered by Canon LP-E6 batteries or AC power. 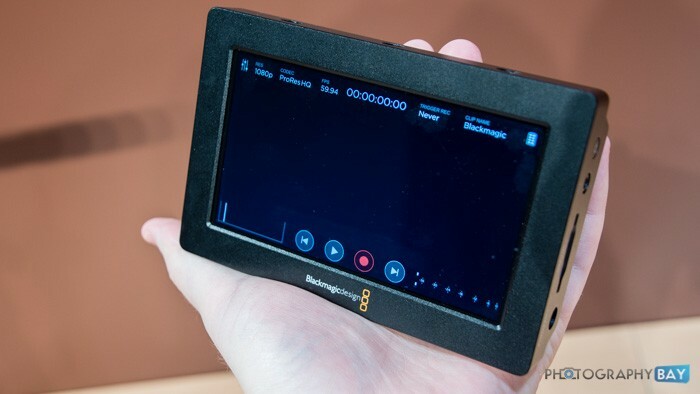 More details on the original Blackmagic Video Assist announcement.